IF YOU WOULD LIKE TO REDO OR STILL NEED TO DO 18.1 YOU CAN DO IT DURING OPEN GYM HOURS SATURDAY AND SUNDAY. YOU CAN DO IT MONDAY AS WELL, DURING ANYTIME OF THE DAY YOU WILL BE RESPONSIBLE OF FINDING YOUR OWN JUDGE. CLASSES WILL RUN AS NORMAL. THANKS! 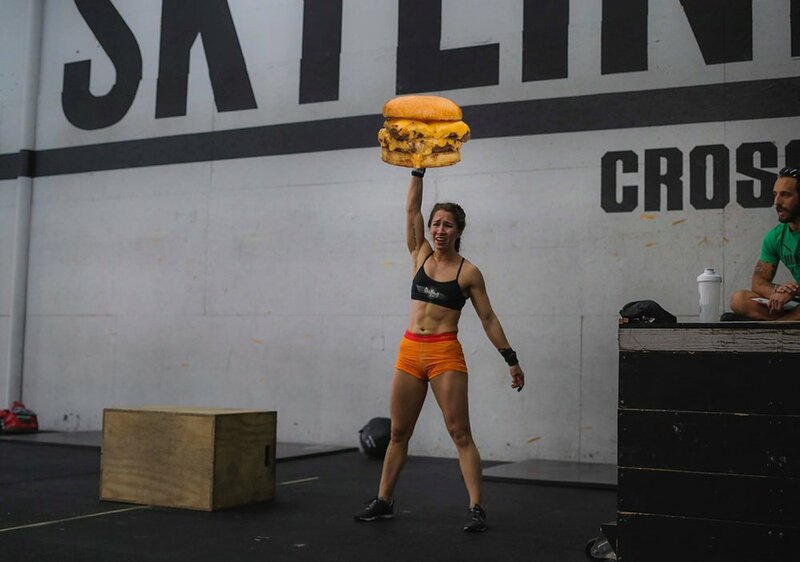 Bethany really feeling that cheeseburger. jumps. When both complete, switch.